You may be asking yourself a simple question by now. 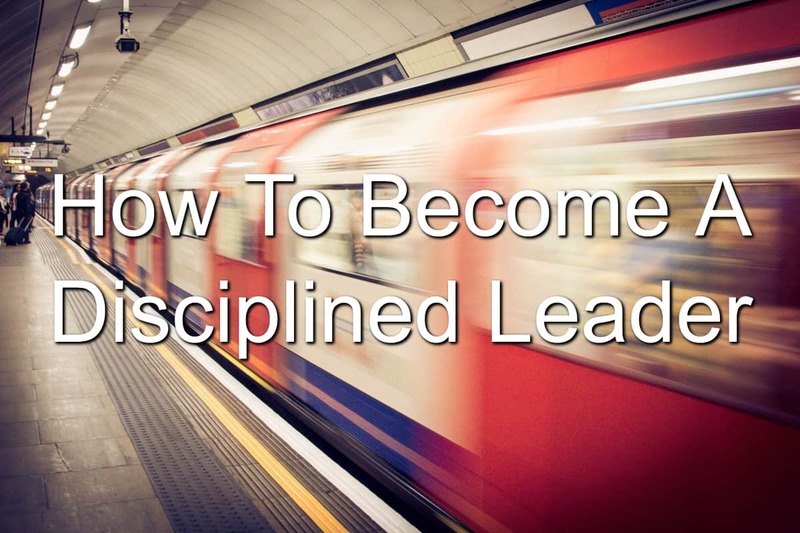 That question is: How do I become a disciplined leader? The answer is simple. You do what a disciplined does. There are things he wants to do. Yet he knows he cannot do everything he desires. He must take control of his thoughts and actions. This means he no longer does things on a whim. Instead, he chooses to do things which will push him onwards and upwards towards the goals that have been set. He doesn’t allow himself to get off-track. He pushes himself to be the best he can be. The disciplined leader trains his mind through consuming uplifting content. He fills his mind with positivity and instruction. He may even partake in a bit of entertainment once in awhile. A leader who cannot control his temper or emotions is a dangerous leader. To become a disciplined leader, you must get your temper and emotions under control. Before going into a rage, look at the damage you’re going to cause. See who you’re going to hurt. Figure out whether or not it is worth it. Disciplined leaders look at the consequences of their actions. Many times contemplating what will be the results of a temper tantrum will compel the disciplined leader to temper their emotions and not act inappropriately. Look for ways to control your temper. Find a mentor who will help you reign in your anger and rage. Choose to hang around people who will hold you accountable. It is easy to spout off hurtful words. They flow like water from the tongue and they can even feel good coming out of your mouth. Then you begin to regret those choice words. Those hurtful words. Undisciplined people will allow their words to flow freely, without thought. A disciplined leader tames the tongue. He knows he must bring the words that come out of his mouth under control. The disciplined leader will think about what he will say before he says it. He will choose his words wisely. And he will speak the truth. Many people find themselves living in the past. They see their failures and mistakes and cannot move past them. They see themselves as they were ages ago. Their struggle is moving on from their mistakes. This is a continuing mistake the undisciplined leader has. He becomes fearful and afraid. He chooses to stay still when he should be moving forward. The disciplined leader chooses to see his past mistakes as just that: IN THE PAST. He doesn’t let those mistakes keep him down. He chooses to move on. Have you made mistakes before? Have you been hurt in the past? How has that held you back? Do you keep looking back at those times or do you focus on the future and what is ahead? Disciplined leaders can see the future clearly. They see what is possible and how they can get there. They choose to move forward instead of staying still. You can choose to stay where you’re at or you can choose to move forward. What would a disciplined leader do? Question: What area do you need to work on to become a more disciplined leader? Let me know in the comment section below.